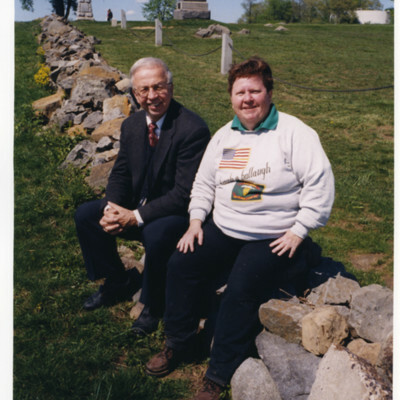 Former Secretary of Defense Robert McNamara in his I Street office in downtown Washington, D.C.
Carol Reardon, a Civil War author and professor at Penn State, sits on the wall that Confederate soldiers unsuccessfully attempted to take in Pickett's Charge during the Battle of Gettysburg in Gettysburg, Pennsylvania. 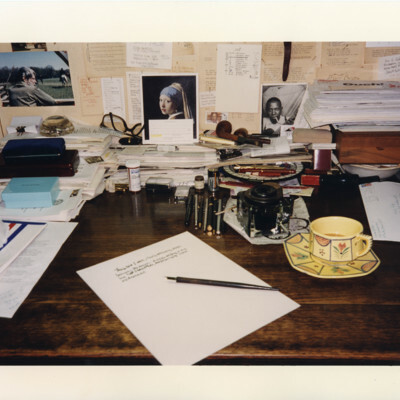 General Norman Schwarzkopf meets three women. 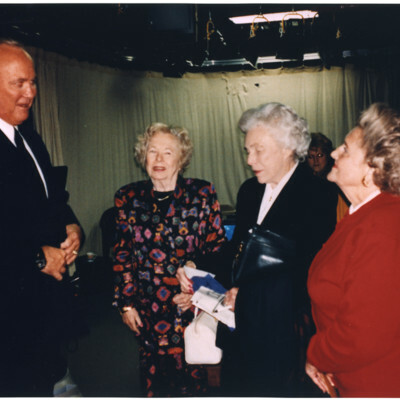 General Norman Schwarzkopf on the "Booknotes" set visiting with (from left) Mem Considine, Brian Lamb's aunt Eileen O'Gara, and Bobbsie Ross, all from the Northern Chicago suburbs. 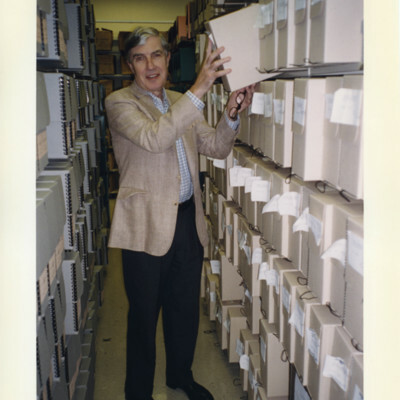 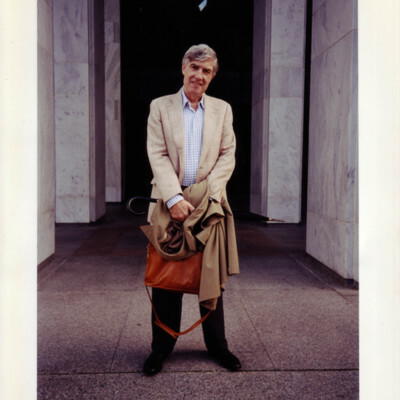 Shelby Foote holding a handwritten, bound manuscript. 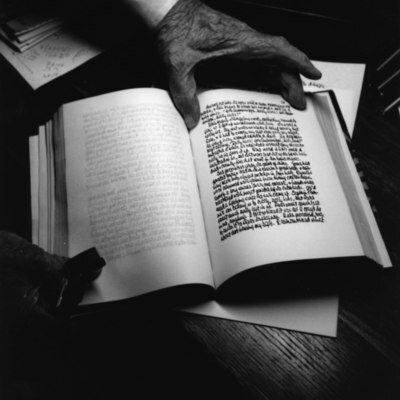 Foote wrote 1.5 million words on the Civil War with this dip pen. 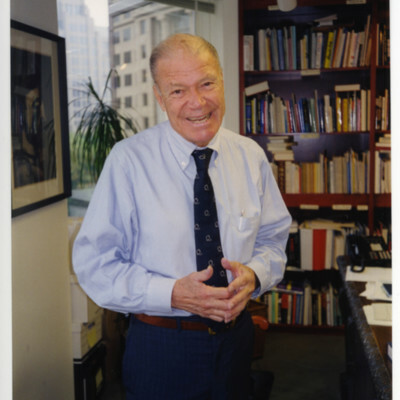 He described on C-SPAN how he had trouble finding steel-tip replacments for the pen and often had to bargain with the few stationery stores that still sold them. 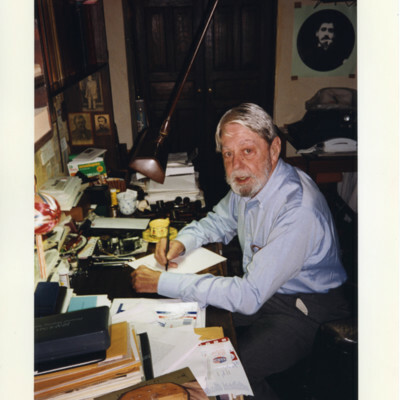 Shelby Foote at work in his Memphis home. 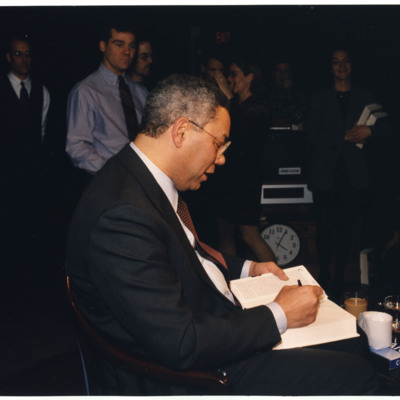 Colin Powell signing a book for a C-SPAN staff member on the "Booknotes" set. 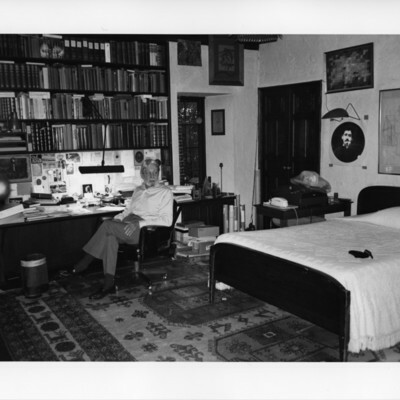 An Interview with Robert Timberg. 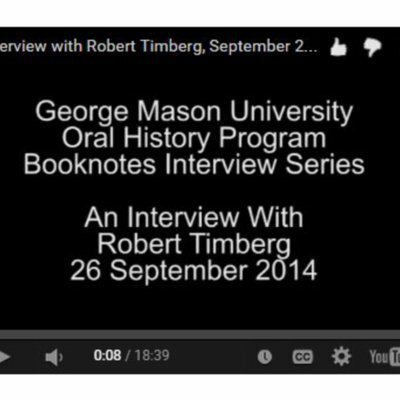 Robert Timberg is interviewed as part of the Booknotes Oral History Project on 26 September 2014. 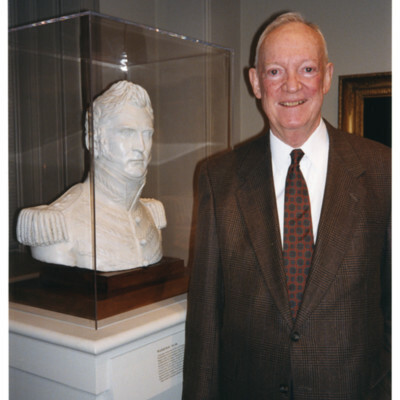 Mr. Timberg discusses his appearance on C-SPAN's Booknotes program on 27 August 1995, where he discussed his book "The Nightingale's Song."